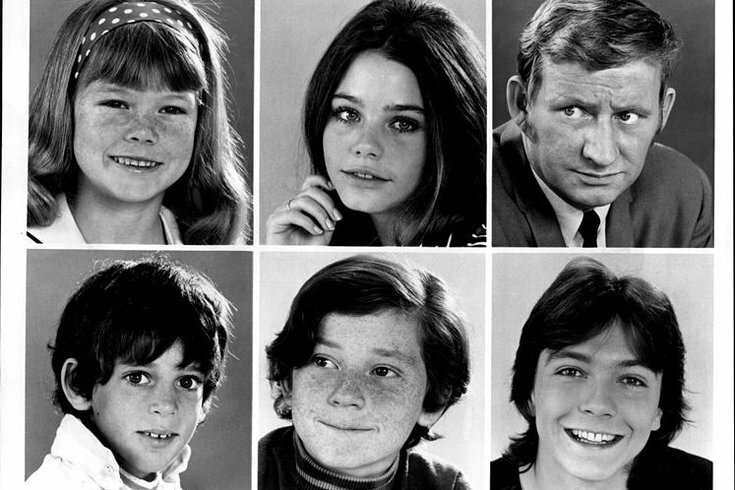 Suzanne Crough (top left) played the youngest daughter on the hit 1970s television show "The Partridge Family." Fox is currently developing a series based on the 1970s hit TV show, "The Partridge Family." But while this new show may gather inspiration from the original series, it looks like it may lack the sunny, "C'mon, Get Happy" outlook. This new, single-camera, comedy show is called “An American Band.” It follows a Northern California family who’s been playing music together for the past 25 years. This multigenerational band isn’t short of dysfunctional problems and doesn't have much in common, except for the music they make together. The beloved classic aired from 1970 to 1974, and featured such songs as “I Think I Love You,” and "I Woke Up in Love This Morning." It made teen idols out of its stars, including '70s teen dream David Cassidy. The original series was based off the 1960s band, The Cowsills, a popular family band from Newport, R.I. and comprised of six siblings. The group is known for their 1967 hit, “The Rain, the Park and Other Things."